25 Albums We Love That You May Have Missed! There is a vast amount of hard rock and heavy metal bands releasing albums every year. A decade ago, we roughly estimated that there were somewhere in the range of 150,000 of those bands across the world. The Encyclopaedia Metallum website has almost 85,000 reviews alone. So many groups over time have released as little as one record before they disappeared like the fading notes of a concert encore. With today's widely-available digital technology, more and more bands are able to put out music themselves and who knows exactly how many albums have been released since metal's inception 46 years ago. 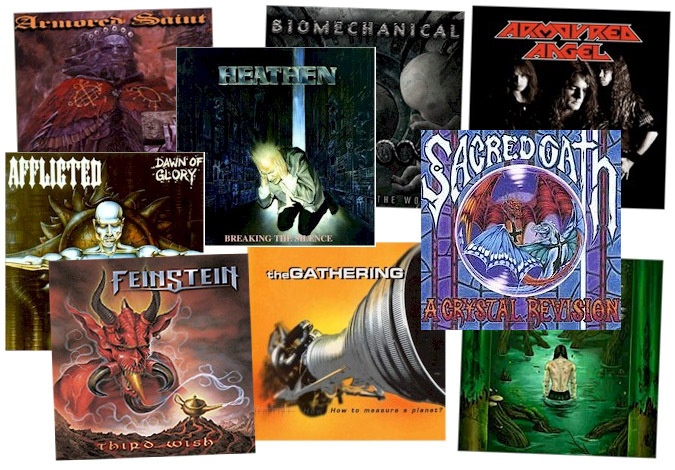 We've put our collective writer heads together into a beastly hydra and dug through the mountains of metal we own for a special "25 Albums We Love That You May Have Missed" list.